Holly - Valley Riding, Inc. Welcome Holly Berry! 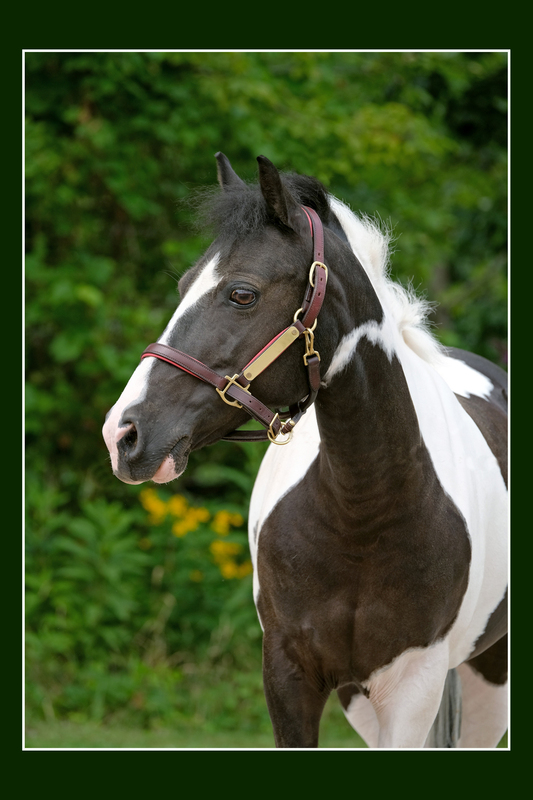 Holly is easy to spot with her beautiful black and white paint coloring. She came to us back in the fall of 2014 and has been in training with our grooms and instructors. She has endless energy and can now be spotted in pony camp and leading group lessons with some of our young riders. Holly is a great horse. She likes to go fast but when you get to know how to control her she has a really nice canter. It was kinda hard to switch from Patches to Holly because Patches if very tame. The things that Marty, my instructor, said to me on how to control her helped me a lot. Thank you Marty. Holly is a really nice horse. Hey Holly! I remember seeing you at my last session of riding here at Valley. I ride at your old home now! Your friends and old owners miss you very much.